Check out these glass gourds around the region. These pumpkins make people happy. Maybe it’s the joy we remember as kids picking out a pumpkin, or maybe it’s the beauty of the way the light travels through our transparent colors. 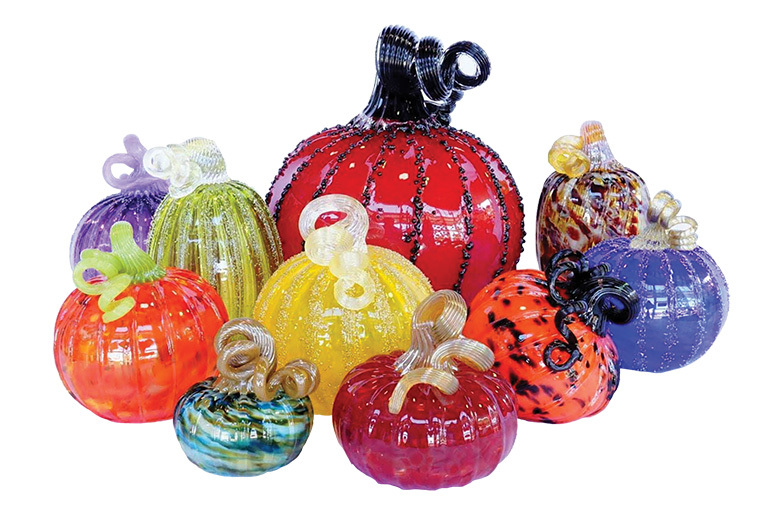 Not only are they beautiful, but are locally made with lots of love,” explains Jeannine Sigafoos of Tacoma Glassblowing Studio (Tacoma, 114 S 23rd St.; 253.383.3499; tacomaglassblowing.com) about the studio’s beloved annual glass pumpkin patch installations around the region.